In a first for NSW, Mid North Coast Community Legal Centre is trialling an Embedded School Lawyer program at Macleay Valley Workplace Learning Centre in Kempsey. The project is funded through Legal Aid’s “CLSD” program. The program aims to provide access to legal assistance for those who wouldn’t otherwise have it, and to help to students know their rights. “Much of my role involves being a person of trust for young people, but being able to be that person without being employed by the school, so I’m a bit independent of it” said Matt. Mark Morrison is the Principal at Macleay Valley Workplace Learning Centre. “Our school plays an important part in the Community by catering for students from Year 9 to Year 12 (14 years of age onwards) who have fallen out of mainstream education, providing a supportive and flexible environment where students can develop a sense of belonging, pride, personal identity and cultural awareness,” Mark explains. Matt also organises legal education for students, where they learn about the law and how it frames and impacts on their lives now and into adulthood. This means that Matt can help with matters like drivers’ licencing issues, problems in casual work, liaising with Centrelink or linking students to family or criminal law assistance if need be. “I’ve got the flexibility to be able to see students in a place they’re comfortable with, and for as long as they need”, said Matt. “We’re not limited by appointment times and making students travel to a legal office, which might be a difficult thing for them to organise”. “The biggest thing we like about this project is that it is about early intervention and prevention,” he says. 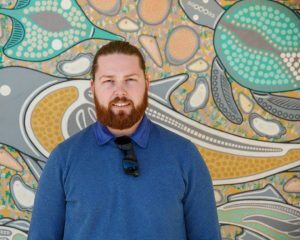 Matt envisages that having a regular presence on site at Macleay Valley Workplace Learning Centre will offer the young people who attend an opportunity to get to know him and hopefully break down some of the barriers between young people and the law. There are a wide range of topics that can educate and assist young people on keeping on the right side of the law, for example, running a class on how sexting can get kids into trouble or their rights and responsibilities as a driver on NSW roads.